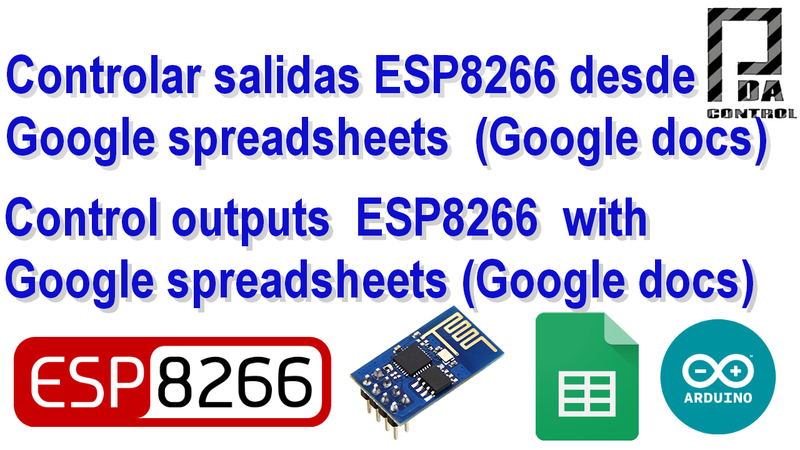 How many times have looked like lighting a led from the Internet, not a local network from the Internet, there is a very useful way to light a GPIO ESP8266 from Google Spreadsheets,, but first must see this complete tutorial ESP8266 direct connection to Google Spreadsheets (Google Docs). I tested the bookstore Library HTTPSRedirect created by Sujay hadke (electronicsguy) thanks for their contribution to the ESP community, in your example creates a kind of chat between Google Docs and ESP8266, below a tutorial video where settings are explained and Connection. I have made changes to the library so you can control the GPIO 2 of our ESP8266, writing on or off, the ESP is constantly done reading cell A2. Temporary change in library HTTPS Redirect.ccp to turn GPIO2, receiving the socket “On r”or “Off r”. IMPORTANT NOTE: For this example must download the modified libraries, link down on downloads.